Guinea pigs can be nervous little things, especially if they're not used to being held. Teaching a guinea pig to fall asleep in your hands requires practice—and lots of patience. The key to success is teaching your furry friend that he can trust you. Once he feels relaxed in your hands, sleep will follow. Work on gaining your furry one's trust. In order for your guinea pig to fall asleep in your hands, he needs to feel safe and comfortable—so don't expect it to happen the first few times you hold him. 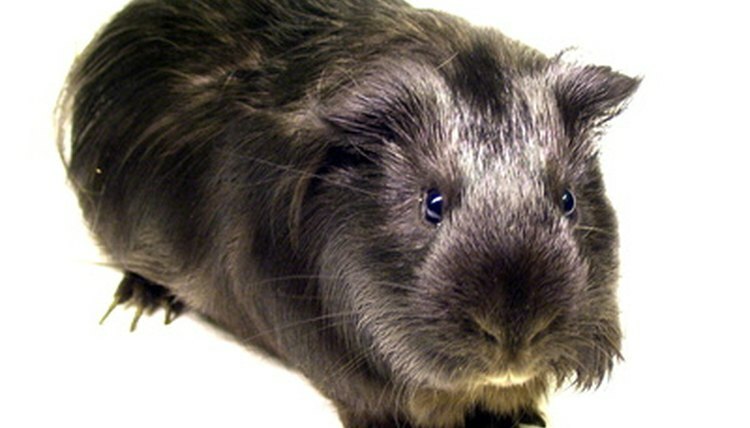 Work on gaining trust by touching, petting and picking up your guinea pig often. When you pick him up, hold him against your chest to make him feel more secure. Sit down in a quiet place when you're ready to try sleeping. Sitting down reduces rocking movement, which could make your guinea pig nervous and less likely to fall asleep. Stroke your guinea pig's head and back repeatedly with soft movements. This requires placing him on one open hand and using the other for stroking. If he's too big for this, try folding your arm toward your chest and cradling him so he has more space. After a few seconds, you should notice his breathing slowing down. If it doesn't, he might feel uncomfortable or scared, so try adjusting his position in your hands.